Greece's parliament voted early on Thursday following a marathon 20-hour session to investigate 10 senior politicians, including two former prime ministers, over allegations they were involved in a pharmaceutical bribery scandal. The allegations follow a judicial investigation into bribes Swiss drugmaker Novartis allegedly paid to boost the sales and prices of its products in Greece. Officials in the government of left-wing Prime Minister Alexis Tsipras have described the alleged bribery scandal as the worst in modern Greek history. 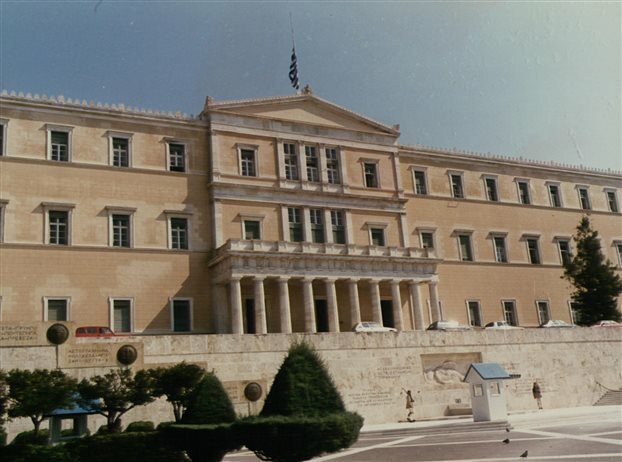 The politicians to be investigated include current central bank governor and former finance minister Yannis Stournaras and Dimitris Avramopoulos, a European commissioner and former health minister. A parliamentary committee will be set up to investigate each of the 10, in a process expected to last for at least one month. Under Greek law, parliament must first investigate allegations against lawmakers before they can be stripped of immunity and prosecuted by judicial authorities. Government and opposition parties all backed the investigation, either in support of the probe or to clear the names of their colleagues. Separate ballot boxes were set up for each of the 10 politicians during the secret vote. Prime Minister Tsipras promised that justice would be done. All of the politicians implicated angrily denied the allegations, accusing the government of engineering a politically motivated campaign against them. Novartis says it is cooperating with Greek authorities. “I’m not here to provide answers regarding this despicable libel but to denounce these ridiculous allegations,” conservative former prime minister Antonis Samaras said. The claims against the politicians stem from testimonies made by protected, anonymous witnesses. Speaking during the debate, central bank governor Stournaras said secret witness testimonies implicating himself and his wife, who runs a communications and consultancy company specializing in the health sector, were lies, and called for the parliamentary investigative committee to be set up to look into all allegations. Allegations against the politicians include bribery, breach of duty, and possibly money laundering. But it was unclear what the scope of the investigation would be, given that the statute of limitations regarding politicians is linked to terms of government. Former caretaker prime minister Panayiotis Pikramenos, his voice at times breaking as he addressed the lawmakers, noted he had only been in office for 35 days at a time of political and economic turmoil in Greece. Conservative New Democracy leader Kyriakos Mitsotakis accused the government of “shamelessly and regularly interfering in the work of the judiciary” to undermine its political opponents.